3rd John Buckley Sports Graded T&F Meeting 2012 — St. Finbarr's A.C. The busy athletics calendar continues to roll on. 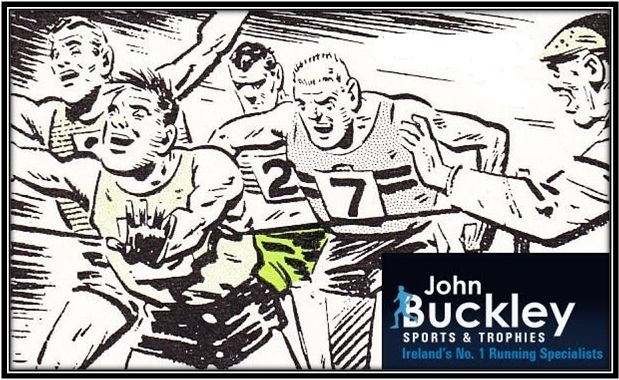 For those of you with any energy left after an exhilarating Marathon weekend, the third of the John Buckley Sports Graded T&F Meetings of 2012 starts on Wednesday, June 6th, 7.30pm at the CIT Track. The centre piece of this meet is the 1,500m, or metric mile event. If you’re in need of some excitement, the 4×400m Relays always provide for a thrilling spectacle. These are graded meetings open to people of all levels of ability from any club. Entry is €5.00 on the night. Do as much or as little as you like!